Seabed mapping is undertaken from a variety of platforms, such as ships, autonomous underwater vehicles, deep-tow equipment, satellites, and fixed wing aircraft. The data are used to create products such as bathymetric maps that reveal the topography of the seabed. At present, less than 25 per cent of Australia's marine jurisdiction has been mapped with high-resolution techniques, such as multibeam echosounders. There are also big gaps in our knowledge of seabed characteristics, such as the sediment type, underlying geology, and habitats. 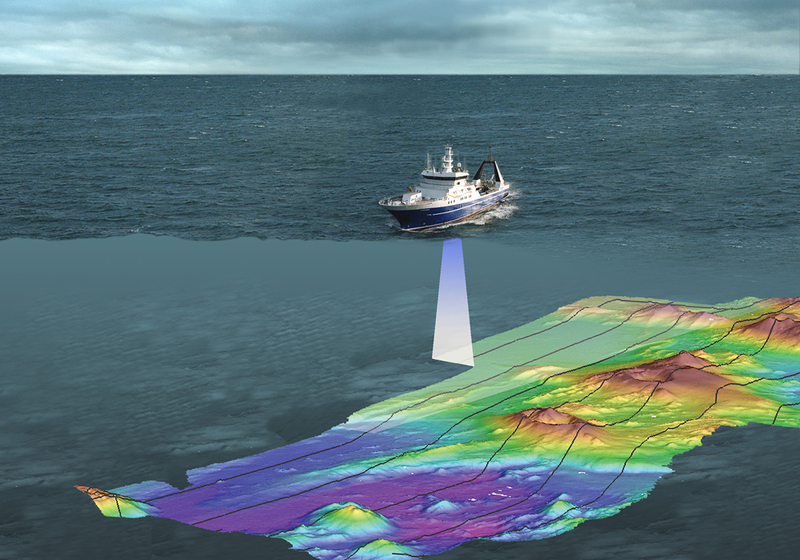 Using Seabed mapping and seabed sampling techniques to understand the sea floor is a time-consuming process, particularly in shallow water. However, by collecting other data types simultaneously, such as seabed backscatter and water column data, it is possible to provide information on a wider range of parameters useful to end-users in a more efficient manner. For example, seabed backscatter is a proxy for the hardness of the seabed and water column data can be used to identify features (such as fish, wrecks and gas or fluid seepage) and oceanographic processes (e.g. currents) in the water column. By setting clear national priorities and guidelines for seabed mapping, AusSeabed will result in more efficient data collection and will maximise the use of data for multiple applications.